Check Rates & Availability at BEST WESTERN Paradise Inn! Our proximity to Utah national parks is why many guests choose our Beaver hotel, but our top-notch service and quality amenities are what make us really stand out. With a convenient location right off of I-15, guests at our Beaver hotel are minutes away from some of the best trails in the country. 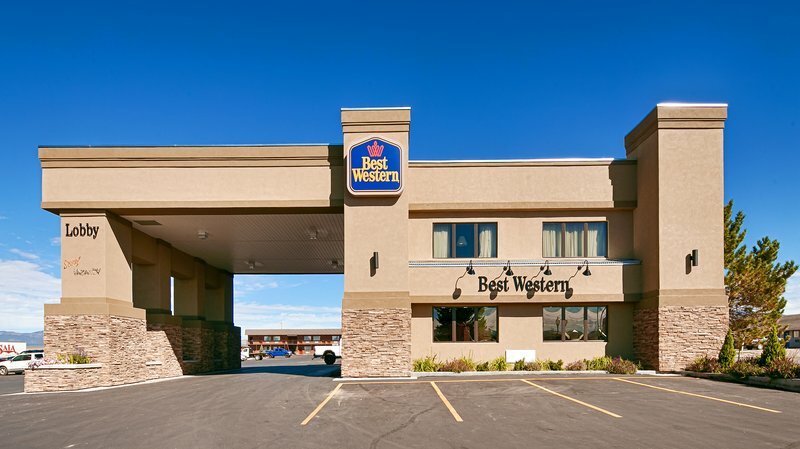 Your Best Western Beaver Utah has everything you need for a great escape, like air-conditioned spacious rooms and luxury bedding to rest up after a day of hiking or mountain biking. This pet-friendly hotel welcomes the entire family, so theres no need to leave your pet at home. At our Beaver hotel, everyone is treated like family. Beaver, Utah is known for being a mecca for outdoor enthusiasts, and we take hospitality seriously. From the warm welcome to the fast checkout, everything is designed with your comfort in mind. Were close to Zion National Park and close to Bryce Canyon National Park. The Eagle Point Ski Resort is a short drive away, and ski bums prefer our Beaver hotel because its one of the closest properties to the slopes. Whether youre indulging in a summer hike or checking out the winter powder, start your morning with our complimentary breakfast. Have time? Let us serve you a real breakfast free at our own Crazy Cow Caf . Featuring farm fresh eggs cooked to order, fluffy buttermilk pancakes with blueberries or apple topping. Unlike any other hotel breakfast! In a hurry? Step in our own Crazy Cow Caf and get a free breakfast bag to go, packed with fruit, yogurt, a homemade oatmeal muffin, and juice or coffee. Enjoy free Wi-Fi, a large parking area and the best service in town. We welcome a lot of guests who stop on their way to national parks, many truckers looking for a good nights rest, and business travelers with SAIA Motor Freight. Even if youre passing through, slip away to Beaver Mountains for a little hiking or fishing. Reserve a room at Best Western Paradise Inn today! From: All directions. Best Western Paradise Inn is located on the East side of I-15 directly off Beaver Exit 112. Turn North at the first intersection east of the freeway (300 West). Pool - Indoor pool Heated Come enjoy our heated indoor pool and spa. A great place to relax during your stay. Cancel by 18:00:01 hotel time. Due to seasonal variations, most accurate cancel policy returned upon booking. INTERNATIONAL: Max 3 rooms per reservation. Max 3 persons per room only if a rollaway is available. DOMESTIC: Max 5 rooms per reservation. Max 5 persons per room only if rollaway is available.